Missy Sitting on Lyre shapped Business Card or Note Pad Stand. 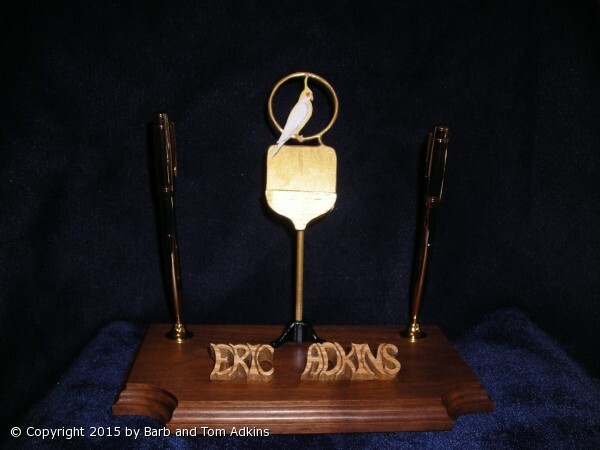 What a wonderful piece to show off that special person with a personalized hobby or talent display piece. Custom order a for a special person.